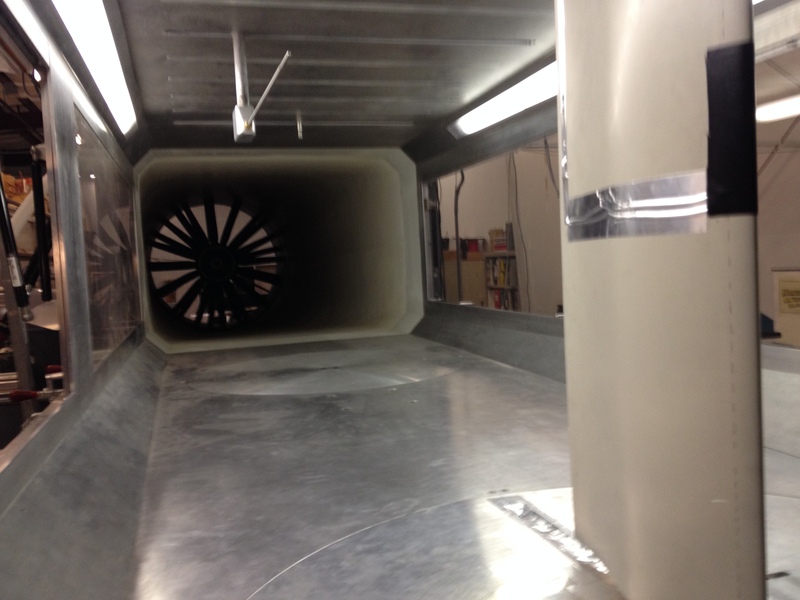 The Applied Aerodynamics Research Group runs and maintains the UC Davis Aeronautical Wind Tunnel for experimental testing, as well as in-house computational resources for simulation. Researchers also have access to the Engineering Fabrication Lab and Engineering Student Startup Center for machining and 3D printing parts. In addition, we have partnered with research facilities such as NASA Armstrong Flight Research Center, Sandia National Laboratories and Lawrence Livermore National Laboratory for in-flight experimentation, enhanced computational resources and access to specialized testing equipment. The AWT was designed and manufactured by AEROLAB. The AWT shares many design similarities with the NASA Langley Basic Aerodynamics Research Tunnel, although the AWT has a larger test section and lower turbulence levels. Further details about the wind tunnel, including schematics, specifications and calibration procedures can be found here. The AWT is located on the campus of UC Davis in the Bainer Hall courtyard building.